The top-selling comedian brings his signature blue-collar comedy to the most luxurious of venues. WASHINGTON — “You Might Be a Redneck” made him one of America’s top-selling standups. On Thursday night, blue-collar comic Jeff Foxworthy cracks up the luxurious Kennedy Center. Which other topics can we expect to hear in his routine? 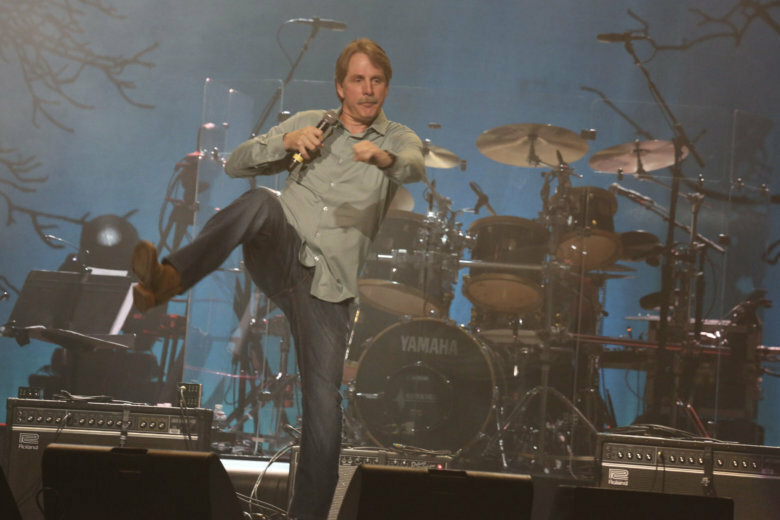 Born and raised in Georgia, Foxworthy grew up listening to an array of comedy albums. When he began performing actual gigs, he embraced his blue-collar roots. One night, after a gig outside Detroit, the creative spark happened. The popular shtick led to his debut comedy album “You Might Be a Redneck If … ” (1993). His favorite “redneck” joke is one that he wrote about NASCAR. “If your son’s name is Dale Jr. and your name’s not Dale, you might be a redneck,” he joked. Soon, he landed his own TV sitcom with ABC’s “The Jeff Foxworthy Show” (1995-1997). So, he formed the Blue Collar Comedy Tour with Bill Engvall, Ron White and Larry the Cable Guy, his longtime friends from the stand-up scene dating all the way back to 1985 and 1986. When the tour took off, they were stunned by the massive success. Foxworthy proceeded to offer juicy insights on his “Blue Collar” cohorts. After each comedian performed an individual set, they’d bring out stools for a four-way chat. Fittingly, the Blue Collar Comedy Tour wrapped with its final stop at Warner Theatre in D.C.
No matter what Foxworthy achieves in showbiz, he always finds his way back to stand-up.